I’ve known how to save money ever since I was a young kid. My parents encouraged us to save even the smallest pocket change we had. 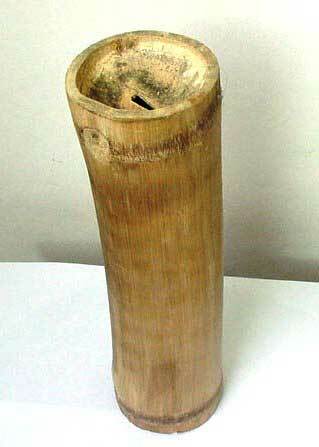 My siblings and I always had bamboo banks, called alkansya (they’re like piggy banks but made of bamboo because we didn’t have money to buy piggy banks), and we’d be delighted anytime we were able to put some coins in it. Of course, I wasn’t always very strict about it nor did I have a system or goal in saving. I just found it practical and wise but not something I should take very seriously. I was a kid, get over it. As I grow old, I realize that saving is really something that people should take more seriously. Our usual excuse is that we don’t have enough money to save for whatever is in store for our future. We don’t acknowledge or realize that a single peso coin can be called savings if we just take it a bit more seriously. Take an empty box or container, whatever you have if you can’t buy a piggy bank. Put your pocket change there (and try not to spend it on anything unimportant), or at least make it a habit of putting some coins there regularly. Even ₱1 per day will grow after some time. Make a system for yourself. What I plan to do is to save every single ₱50 bill that I will receive. ₱20 is a bit too small for me and I’m a bit impatient, but I think ₱100 is already too big so ₱50 should be a good start. Be it from the bank, from a friend, or as change in my daily transactions, I will not spend it on anything but I will save it in a separate alkansya for paper bills (I still have one for coins). I know it can be tempting when you see that there’s already too many but I take it as a part of the challenge to resist spending it. I’ll see in a year how much I make. Feel free to share your savings plan.